Nucleus Software's FinnAxia is an integrated global transaction banking solution built on latest Java J2EE technology over Service Oriented Architecture (SOA) platform. With FinnAxia banks can breakdown traditional product silos, launch personalized products/services over multiple channels and achieve operational excellence. 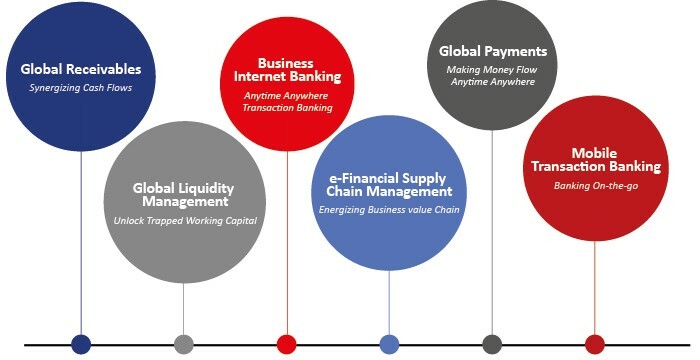 FinnAxia, integrated global transaction banking suite, offers the capability to swiftly address corporate customer's liquidity management needs and provides end-to-end solutions from Receivables, Payments and Liquidity Management to Financial Supply Chain Management, with enhanced customer satisfaction. The solution empowers financial institutions establish and maintain a market-leading presence through the flexible, speedy and efficient execution of transaction banking processes. Total transparency and greater control to manage finances. 360 degree account position view across multiple currencies and jurisdictions.